One of the things our couples love most about Cypress Grove is the Old Florida feel which is so hard to find anymore, especially in Orlando! 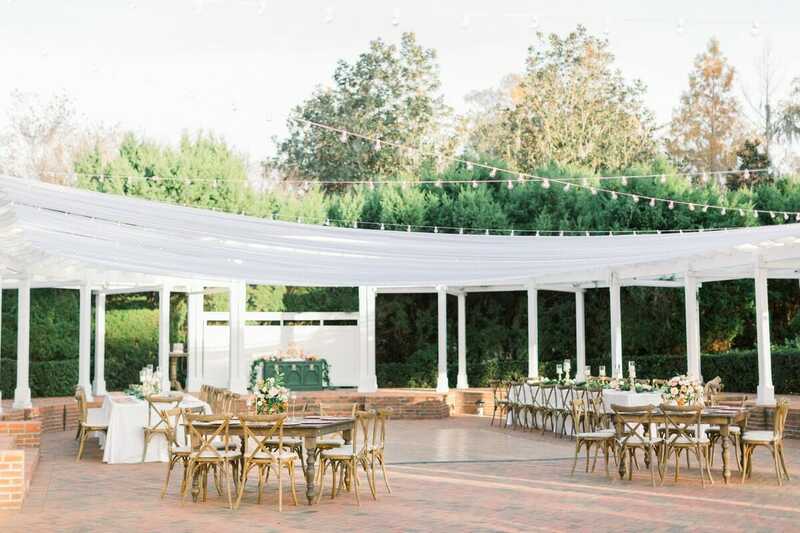 Once surrounded by orange groves, we wanted to play into that old Florida citrus plantation feel and use the Estate’s surroundings to complement that aesthetic. With the sunlight reflecting off gorgeous Lake Jessamine, golden rays project stunning shades of pinks and oranges which we wanted to capture in the showcased floral. 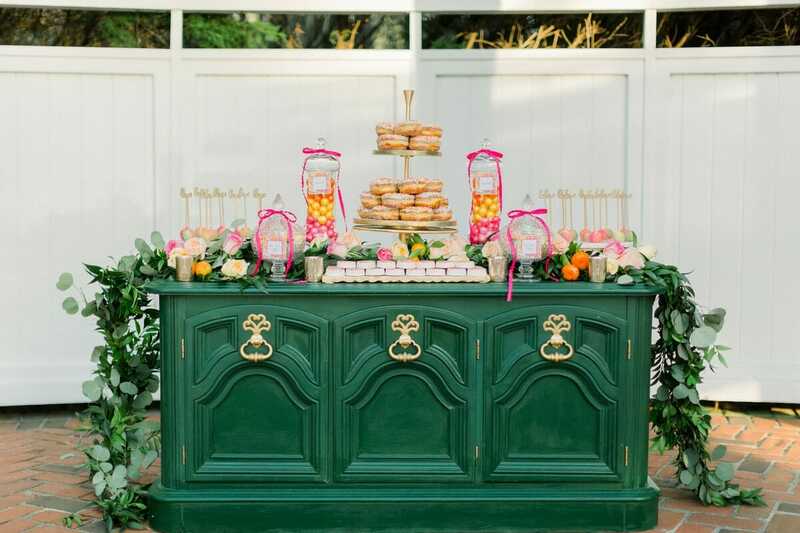 The house itself stands beautifully in a crisp white with emerald green shutters to accent so the same palette was used for our linens and candy buffet. We wanted to show our couples the very landscapes they fell in love with could be implemented into their wedding day details.